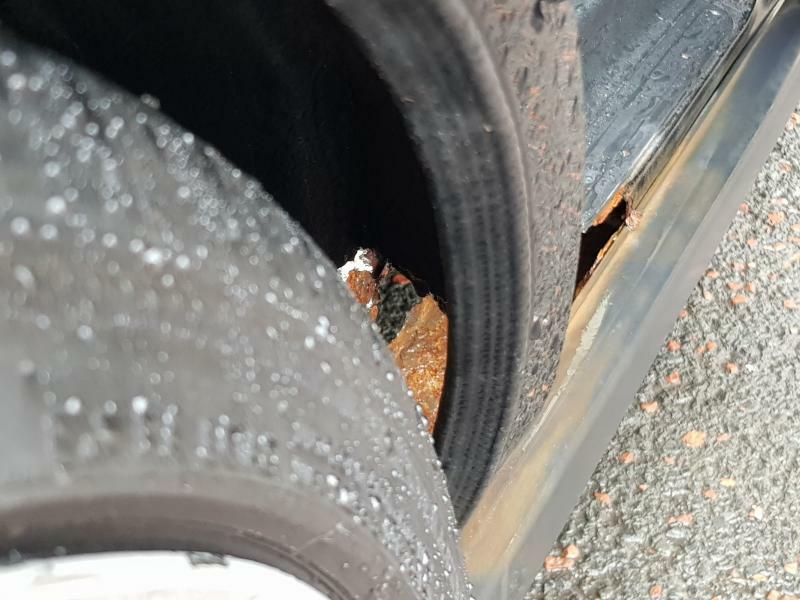 So unfortunately my MB6 failed it's MOT on Saturday due to obvious reasons (see pics) however I was unaware it was actually that bad until I cleaned it all away and picked off the crumbling metal. Is this even repairable and if so is it just a case of welding new metal or something? Sir Shrubbery on LSD with BOB! Esq. It can be repaired but depends if you're prepared to put in the hours (if doing it yourself) or spend the money (If a garage is doing it)? O yeah it wouldn't be me doing it like I would definitely be taking it somewhere but I'm also not wishing to spend more than the car is worth just to fix that. I'm more looking advice on whether it's even possible and if so are there replacement sills available so without having to go to a scrap yard! should get that sorted for 2_300 if you're paying someone. maybe more depends on what kinda job/finish you want. if you like the car and plan on keeping it then do it. what's the other side like? Add above I'd at least get a quote for getting it sorted. With it being an MB6, you can look for replacement / repair panels for mgzs and rover 400 as well. Does look pretty severe mate. However, the mb6's are getting harder to find now (for a decent one anyways) so if it's coming in around the £300/£400 mark then I'd deffo have it repaired. If the other side is the same though, that may be a game changer. 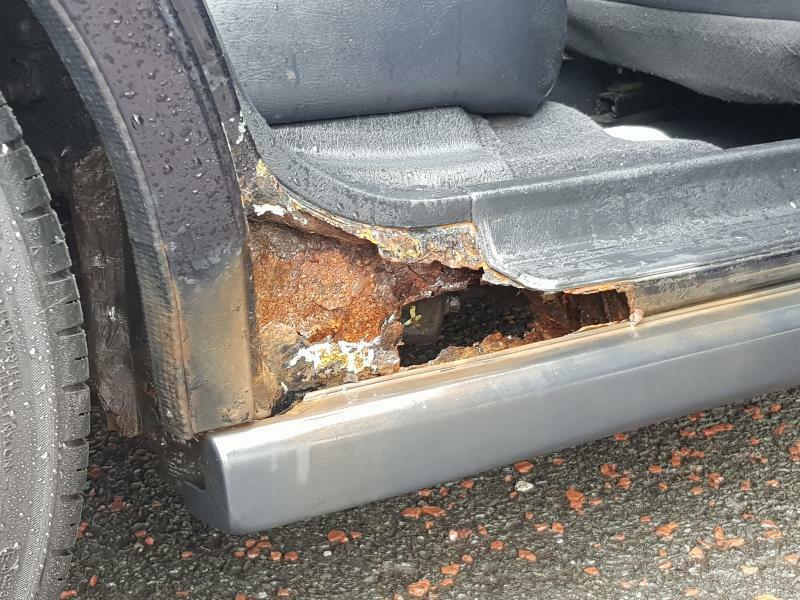 If you can, get the car on a ramp and give it a good look over to see if rust has got hold anywhere else. New sills are available as are wheel arch repair sections (as said above look for Rover repair panels). Not sure if the actual doorstep panel is still available but a good welder can soon weld that up back into shape. 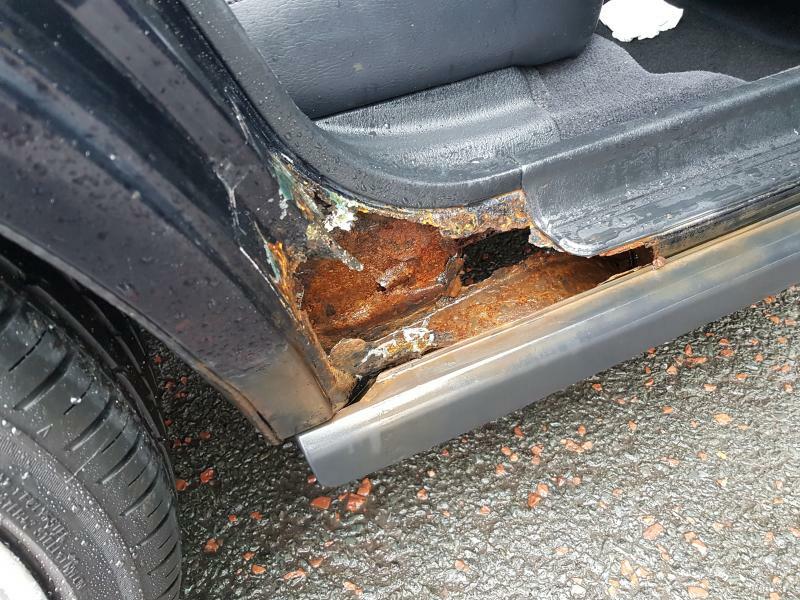 Will need inner sill repaired, rear inner wing repaired, new sill and door step section repaired. Then treated so any remaining rust is cured, and painted. Sounds like a great excuse to upgrade to and Aerodeck to me! Got it all repaired for 190 quid. It's not pretty but it passed MOT so at least the car is good for another year or so. Wee bit of work done on the otherside too. I thought it was the end of the road tbh. Glad you saved her mate, and for £190 that's a decent price even if it only lasted a year. Got any pics of the finished work?